The sire of the litter is my personal dog Rip. 2 years ago I snapped my ankle and was on crutches. I got Rip certified as a service dog and he went to college with me every day. He helped me with my books, cans of pop, containers of food, my purse, keys, anything I needed he helped me with. 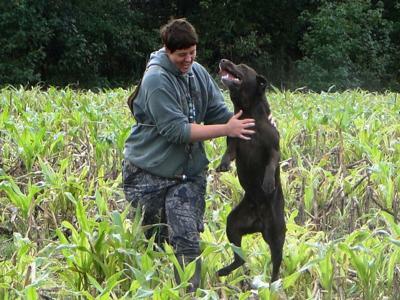 This is a dog that has his HRCH UH MH CGC titles and he was only 2 1/2 at the time, he was used to training HARD every day and I wasn't able for 2 months to train. 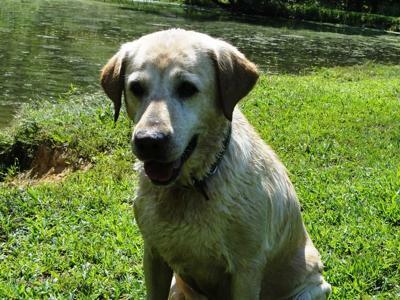 He has always been a house dog with an amazing on/off switch but going from one extreme to the other without any issues, to me was proof of how extraordinary Rip truly is. He was the first dog I trained and I never had to Force Fetch him and he has never been on an electronic collar... you show him something once and that is all it takes. years she is just a pet and companion. I kept her littermate Gremlin who is a HRCH UH MH CGC and a wonderful dog. Once again no Force Fetch and no electronic collar. 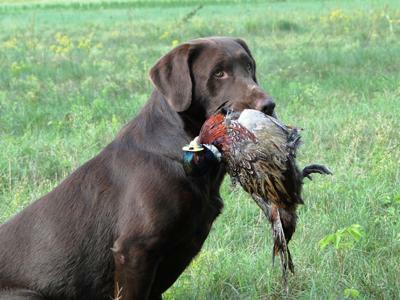 She is the smartest dog and by far the best Upland Hunter that I have ever worked with. I am very excited about this litter and I believe that it will be a perfect combination. If you want to discuss the litter and/or the parents you can call me, Tierra Robinson, the resident dog trainer, at 740-577-7303. I would be more than happy to tell you more about the trainability of the parents. I endeavor to breed the most Healthy, Genetic Defect Free Dogs that I can. 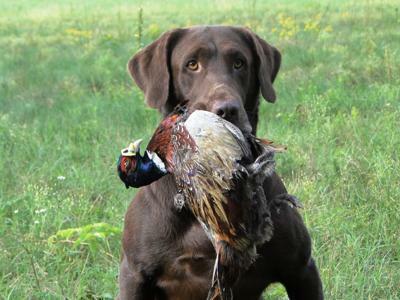 Hunting Ability, Intelligence, Disposition, & Conformation all combine to makeup the Best Labs.